50 years ago to the day the Beatles first played in Cleveland, the tribute band 1964 will play at the House of Blues downtown. 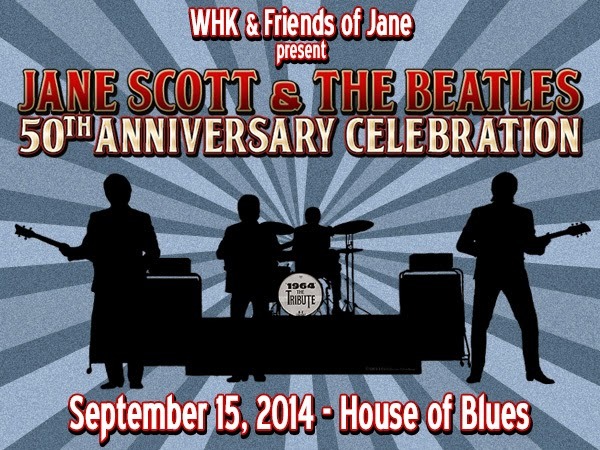 But there a more profound purpose for the 50th anniversary celebration of the Beatles performance at Public Hall; it's also a fundraiser for the Friends of Jane, a growing group of supporters of Jane Scott, the late Plain Dealer music writer who worked well into her 80s. Friends of Jane are trying to raise the money to make a documentary about the journalist, known as "the world's oldest teenager." Net proceeds of the ticket sales will benefit the making of the film tentatively titled "Jane Scott Rocks." WHK brought the Beatles to Cleveland in September of 1964. Current WHK talk show host Tom Kelly and the Plain Dealer's "Minister of Culture," Michael Heaton are the driving forces behind the 50th anniversary celebration of Jane Scott and The Beatles in Cleveland. In this interview, Heaton describes the life and times of the beloved reporter. Heaton says music legend Michael Stanley will open the House of Blues show on September 15, 2014 with an acoustic set of Beatles music. 1964 will follow, replicating the exact set list the Beatles played in Cleveland on September 15, 1964. The Chagrin Documentary Film Festival is in its fifth year, and is already being lauded as one of the best events of its kind. That's in large part to the inspiration behind the festival and the passion of its director, Mary Ann Quinn Ponce. Her late son was a passionate young filmmaker whose documentary about an AIDS orphanage in Africa was finished posthumously. The Lost Sparrows of Roodepoort, which has won several awards, will be screened along with nearly 70 other films from 20 different countries at this year's festival. In this interview, Mary Ann describes the compelling subject matter of some of the documentaries scheduled for the 2014 Chagrin Documentary Film Festival. The International Space Station can be seen this week from Northeast Ohio as it orbits the Earth. 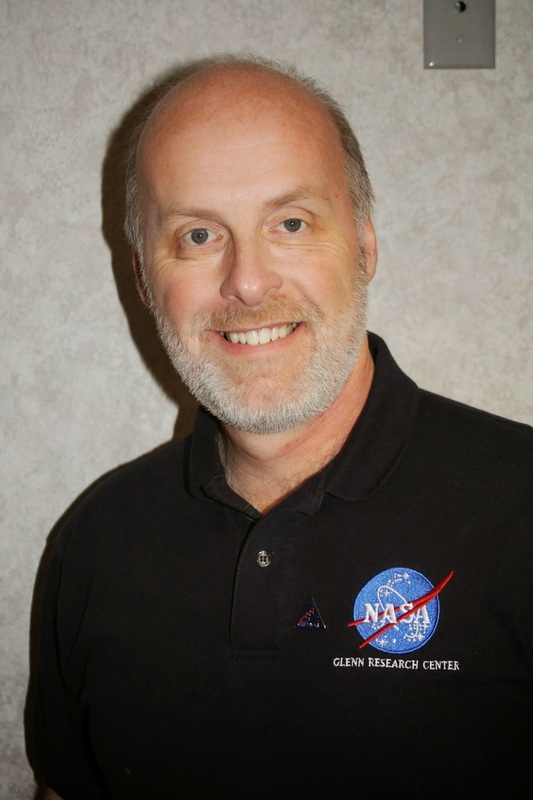 Cleveland State University Astronomer Jay Reynolds, a Solar System Ambassador for NASA tells us when to look up, and in which direction. And he explains why we won't be able to see it again until early October. 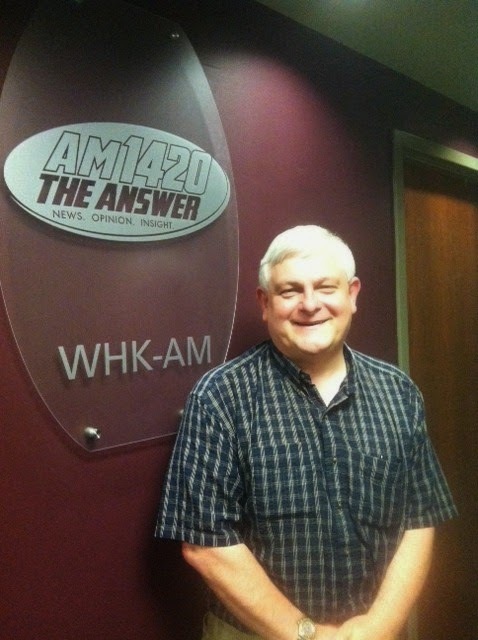 The Avenue, a program heard on Sunday nights at 9:00 on AM 1420 The Answer boasts a diverse cast of characters, who meet at the corner of culture and entertainment. 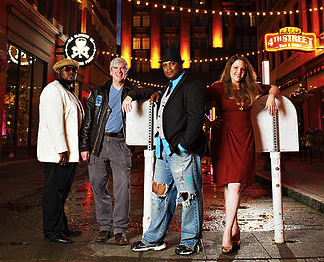 Four of those characters took part in this interview: Darvio "The Kingpin" Morrow, who conceptualized the show, Brittany Williams and Doug Magill of the Cuyahoga County Republican Party, and producer Antwaun Murray. Their diverse views, along with those of "The" Andre Cato help make "The Avenue" entertaining and informative. Even Dr.Christina Delos Reyes of University Hospitals Case Medical Center had not heard of powdered caffeine before the death last May of Logan Stiner, and she's an addiction psychiatrist. Logan was a high school senior, about to graduate from Keystone High school when he died of a caffeine powder overdose. Dr. Delos Reyes discusses Logan's parents' efforts to ban the sale of the stuff on the internet. It has been widely publicized that Robin Williams suffered from depression prior to his death this week. Veteran television journalist Jack Marschall has also suffered from depression, and wrote about it in one of the six books he has published. Jack talks about his battle with depression in this interview, and about donating a kidney to a stranger. He is no longer on television, but remains in Greater Cleveland with his family. The Cleveland Furniture Bank helps give many Clevelanders a fresh start by providing them with the furnishings they need to make a house a home. Most of the furniture is donated, but the Furniture Bank must raise funds to buy childrens' beds. Much of that money is raised through the Inside the Park Home Run fundraiser on August 10th. Runners and walkers will have a chance to be on the same playing field as the Cleveland indians at Progressive Field. Minute Men Staffing Services is the main sponsor of the Inside the Park Home Run event. J. R. Lucarelli is Vice President of Minute Men Staffing, and he joins Furiniture Bank Executive Director Tom Gaghan in this interview. Hundreds of Greater Clevelanders have completed a cultural competency training program developed by the Diversity Center of Northeast Ohio, in preparation for the Gay Games, being held next week in various venues throughout Cleveland and Akron. Up to 30,000 people are expected to either participate or attend one or more of the games or related events. Christen DuVernay is Director of Programs for the Diversity Center, and in this interview, she explains gender fluidity, non-conformance, and why the word "queer" is no longer considered an offensive term among members of the LGBTQ community. Tour the Lake County YMCA Dream House, and for the price of admission ($15.00) you could own the beautiful new town home in the Residences at Willoughby Pointe in downtown Willoughby. But you only have until Sunday, August 10th to do it. Listen to this interview with Construction Liaison Kathy Wallace of Store with Style, and project staff chairman Bob Hoffman, Chief Facilities Officer for the Lake County YMCA to learn how it works. Is It Too Little Too Late For Christians in Iraq? 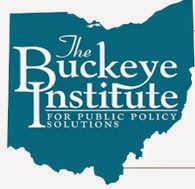 With President Obama now authorizing airstrikes "if necessary" against Islamic State terrorists in Iraq, we revisit the interview with Robert Alt, President of the Buckeye Institute for Public Policy Solutions. It was recorded when ISIS first began taking control of Iraqi towns in early June, and when much of the world was first made aware of the persecution of religious minorities, including Christians in Iraq. If you build a better mousetrap, or even just design one, or anything that may be innovative and in demand, Edison Nation can help you bring it to the market. Scott Dromms, Manager of Intellectual Property at Edison Nation reviews invention submissions and works with manufacturers and retailers who are looking for outside innovations to solve problems. Two big events to benefit Autism Speaks are coming up. One involves star power, the other, step power. The 2014 Chef Gala for Autism Speaks features the stars of The Chew, Cleveland's own Michael Symon and special guest Mario Batali on August 9, at the Cleveland Museum of Art. Walk Now for Autism Speaks is the other event Laura Hoffman, Director of Field Development for Northeast Ohio for Autism Speaks discusses in this interview. It will take place on Sunday, September 14 at Progressive Field. Tea Party Tom Explains Opposition To $ 17B VA "Fix"
The Senate has passed the bill to give the Department of Veterans Affairs $17 billion, with an almost unanimous vote, following House approval earlier this week. Republican Senator Tom Coburn of Oklahoma is one of the few who voted no. Why? Because he said the problem isn't a lack of funds; it's management, accountability, and culture within the VA. In other words, throwing money at the problem isn't going to fix it. That is exactly what Tom Zawistowski, Executive Director of the Portage County Tea Party said in our interview earlier this week. The interview was recorded before the votes to approve the bill were taken in Congress. 17-1. 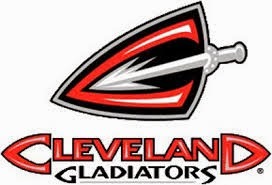 That was the regular season record for the Cleveland Gladiators Arena Football League team, after a 4-14 season last year. Coach Steve Thonn explains the turnaround, previews the playoffs, and talks about some of the differences between the NFL and Arena football.